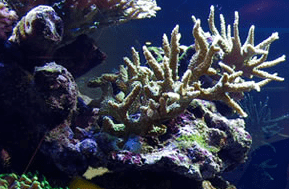 AAC can provide you a complete reef or marine aquarium in your home or business, from conception to installation. We have specialised over decades, to bring a level of skill in the industry unsurpassed by many. We only use quality suppliers and distributors for our works, are fully insured, and abide by OATA regulations. We can also work with your chosen architect or builder on custom aquarium design. AAC has been servicing aquariums of all types and sizes for many years. We can arrange service contracts for our own installations. We also offer a direct/text telephone service for those with service contracts to an engineer. AAC has a retail showroom with public opening times, and private viewing opening times, whereby display systems and expertise is on hand to discuss your aquarium or desire to own one. We carry an extensive range of dry goods and first class livestock too at competitive prices. AAC provides a complete coral gardening service, in the home or business , providing careful coral placement and nurturing. This will achieve the ultimate display look, both beneficial to the corals and client. AAC has a long history and passion in the aquaculture of corals. Many of the coral fragments available in store, are grown by us, and have their roots now firmly established in the UK reefing scene. This provides a hardy alternative to wild harvested corals, with many generations, and they are more forgiving specimens than many maricultured ( sea grown) stony corals or wild varieties. We hope to continue further in this field, making the art of growing corals simple and rewarding. We offer service in the field of coral aquaculture to organisations and businesses. AAC is able to offer onsite visits, to discuss any aquarium problems you may be experiencing, which would include reports and analysis if required. AAC works with schools and other education authority’s, bringing the benefits of an aquarium to the forefront . Reef Aquarium Chemistry, Marine biology, The Coral Reef and Coral Cultivation are of topics of great educational interest, and we are glad to assist in this field.